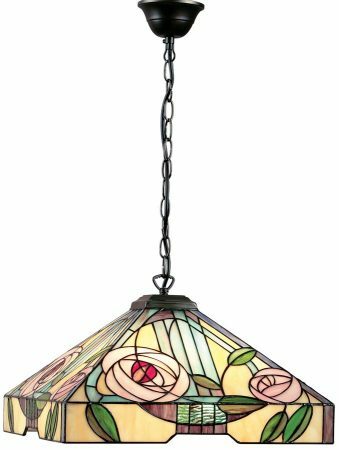 The Willow rose design Large Tiffany 3 light Pendant in the Mackintosh style is a delight and sure to brighten anyones day. 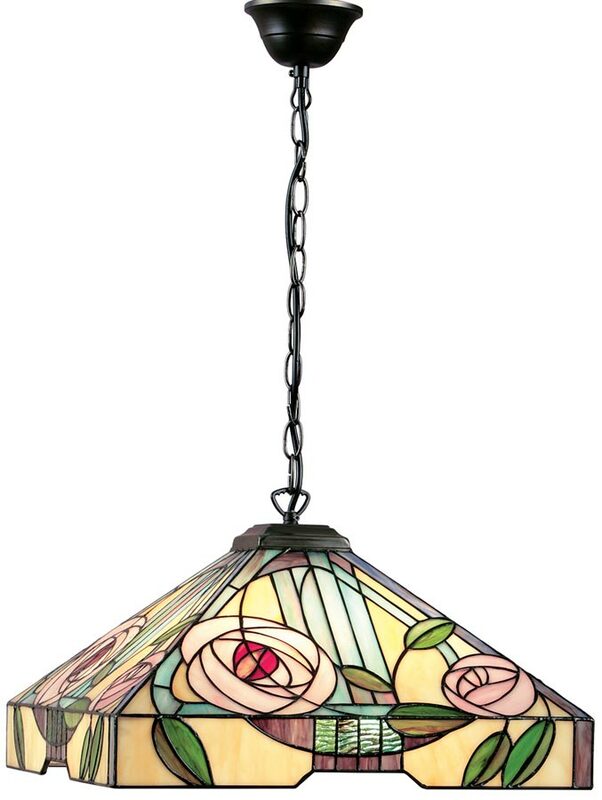 Stunning handmade rose design Tiffany lamp shade, typical of the Mackintosh style on a stunning pyramid shade with drop sides, covered in subtle colours with a feature pink rose, highlighted with a red centre. A complex design using pastel colours to complement a neutral interior. 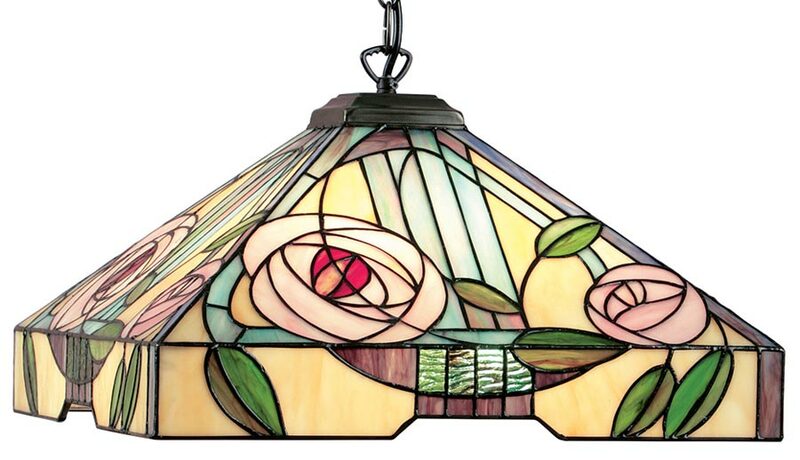 This Tiffany pendant lamp is suspended from an adjustable black finish chain. Height adjustable at the time of fitting by removing chain links, minimum drop 380mm – maximum drop 620mm.